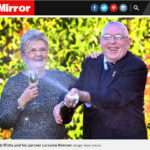 An 81-year old man who won £1 million from the Euromillions UK Millionaire Maker draw on December 15 spent Christmas as normal. At that age, that is real restraint! A glitch in one of their games have left South Carolina Education Lottery officials red-faced, and a lot of players terribly disappointed. 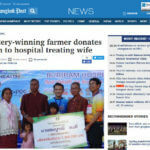 A computer error affected the Holiday Cash Add-A-Play game from 5:51 p.m.
A heavily indebted Thai rice farmer won 12 million baht in the lottery and promptly made a promise to donate a sum to the hospital treating his wife. 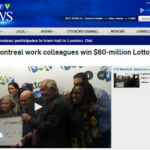 This week a lottery win saved a UK couple from having to sell their home and a retired couple form New Glasgow won $1.75 million to sweeten their sunset years. Each December 22, school children from Madrid schools sing probably one of the most joyous songs ever – the winning numbers for the El Gordo Lottery. After winning £1million from the National Lottery, 55-year old car assistant Patricia Aldridge did not really have to work anymore. But she still did a 12-hour shift this past Christmas! 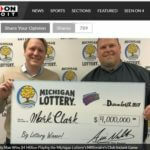 One year after the lottery made them millionaires Steve and Jill Walsh have not changed much, and that’s the way they like it. When she won her million pounds just shy of Christmas last year, Jill Walsh was working long shifts as a nurse in the cardiology unit of Castle Hill Hospital.